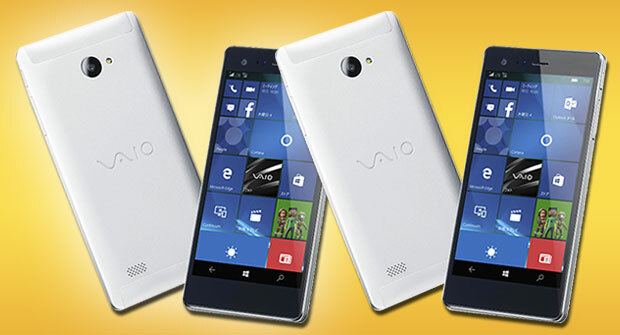 Vaio on Wednesday announced Phone Biz, a Windows 10 mobile phone. The device doesn’t have a SIM, leaving users free to select their own carriers. The Phone Biz lets users easily access corporate apps, Microsoft SharePoint and Microsoft Exchange, as well as the Azure cloud, according to Vaio. The OS is synced with the latest version of Windows 10. Users can manage settings from the same Microsoft account as their PCs. The Phone Biz incorporates Microsoft’s Continuum feature, which lets users connect phones to TVs or monitors, if they want to work on a larger screen. The Phone Biz supports single sign-on and connection speeds of up to 225 Mbps. The position and size of tiles are customizable, and the phone comes with the Cortana digital assistant. The phone can use encryption or a virtual private network. It includes built-in GPS and supports remote data erase and remote locking. Admins can change users’ access to apps and data remotely. The Phone Biz will be available on NTT DoCoMo’s network. It reportedly will begin selling in Japan in April for about US$430. The Phone Biz has an aluminum body and a full high-definition tempered glass screen. It has a microUSB 2.0 port, said Vaio. Four versions will be available. Two use eight-core 1.5-GHz Qualcomm Snapdragon 617 processors. One of them has a 5.5-inch 1080×1920 screen and the other a 5-inch 720×1280 screen. The other two are 5-inch devices with 720×1280 screens. One has a 1.2 GHz quad-core processor and the other a 1.1 GHz quad-core processor. RAM ranges from 1 GB to 3 GB, and internal storage from 8 GB to 16 GB. Rear cameras are 8 MP or 13 MP, depending on the model, and front cameras range from 1 to 5 MP. None of the features is particularly outstanding, said Mike Jude, a program manager at Stratecast/Frost & Sullivan. However, “the Continuum capability that allows the phone to serve as a platform or CPU for a desktop … makes the Vaio phone better suited for business use than personal use,”. “With Sony, it’s all about design, so this phone is incredibly good-looking,” said Rob Enderle, principal analyst at the Enderle Group. Sony has a minority stake in Vaio, which it spun off in 2014. Worldwide smartphone shipments hit a record in Q4 2015, totaling nearly 400 million units, IDC reported. That is nearly 6 percent higher than the same quarter in 2014. As a whole, 2015 was a record year for phone shipments. However, the Windows Phone OS’ share of the market has been hovering around 2 percent since March, according to Netmarketshare. That hasn’t deterred Microsoft, which last fall announced that several Japanese companies would be making Windows 10 phones. The current push in Japan indicates Microsoft is “fighting for a beachhead and have found Asia a far better geography to get one,” Enderle said.